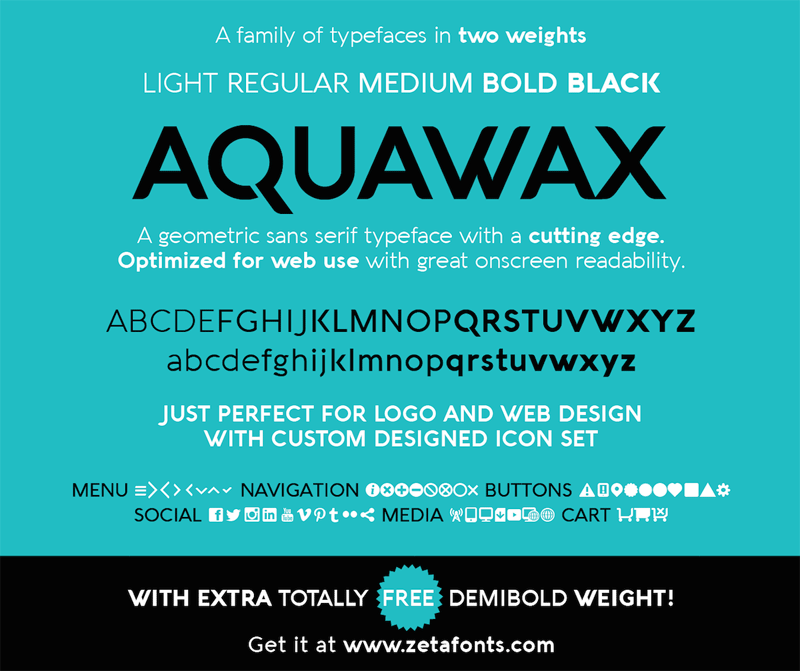 AQUAWAX is a contemporary sans serif typeface family designed by Francesco Canovaro. Balancing sharp angles with soft rounded shapes, the typeface wants to evoke a digital, contemporary sensibility of liquid connections and digital smoothness. Aquawax covers over 40 languages that use the Latin alphabet, with full range of accents and diacritics.